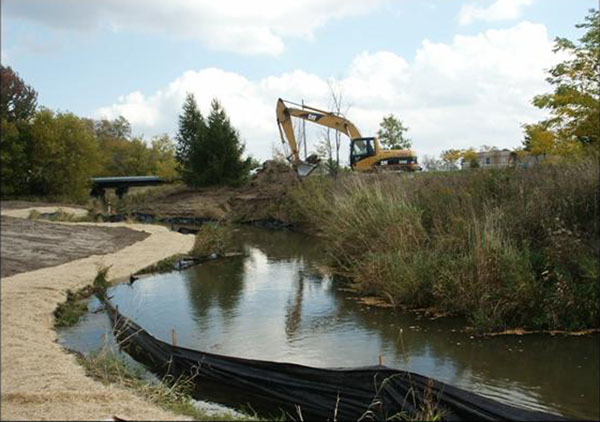 This is done through the application of regulations affecting areas in and near rivers streams, floodplains, wetlands, slopes and the Georgian Bay shoreline. The NVCA also works with municipalities to review development applications under the Ontario Planning Act to ensure they meet local and provincial environmental standards. If you are planning a project you may need a NVCA permit, approval under the Planning Act or both. Special note regarding the Department of Fisheries and Oceans: Some projects may also require the approval of DFO under the Fisheries Act and the Species at Risk Act. To learn more, visit the DFO website. If you are unsure what you need, contact the NVCA at (705) 424-1479 for details.